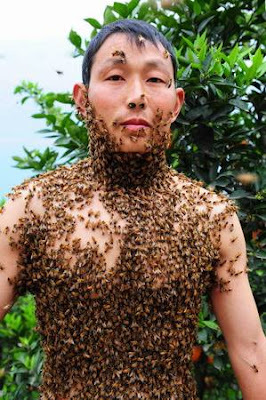 13 Above: Crazy Man Covered By Bees .. OMG??!! Persistence of each Chinese character may show differently. 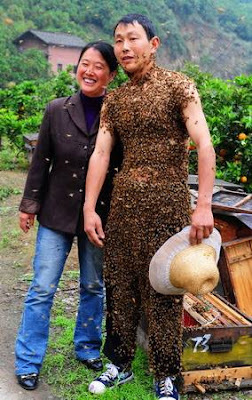 This, for example, dressed in the bee. At the same time and on clothing in a crisis saved. 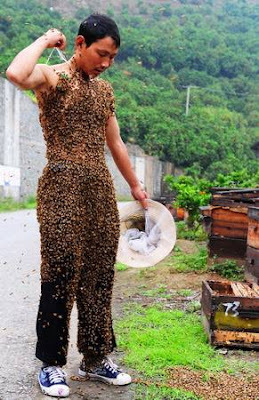 But, is that man is crazy !! OMG ! !